When many students think about life after college, the path ahead to a 9-5 career may seem set as their parents encourage them to seek a four year degree. However, not everyone wants to, or needs to, seek out a college degree to have a satisfying career. In fact, many people see apprenticeship programs as a “ticket” to the middle class, giving students the skills and training they need to have successful careers. Best of all, apprenticeships don’t have the sticker shock that comes with a typical college or university experience. While they can be similar to internships, they’re less expensive. Apprenticeships aren’t a new phenomenon and have been around longer than most people can imagine. 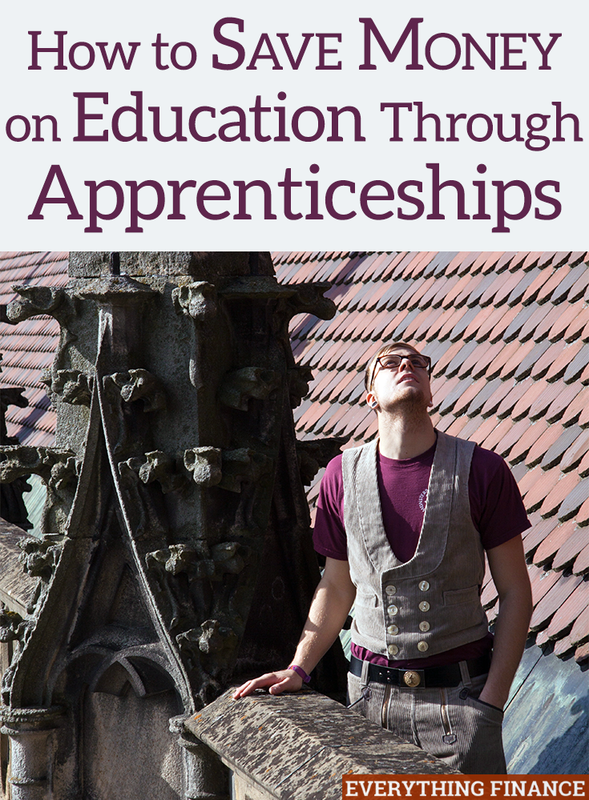 Many historians believe apprenticeship dates back to the 12th century in the United Kingdom. As craftsmen came to the New World, many brought the tradition with them in order to pass down skills they had in their roles and to continue providing valued services. According to an article with the Washington State Department of Labor & Industries, many crafts and skills were primarily passed on from one generation in a family to the next. In the modern era, the first organized and regulated apprenticeship system in the United States came about from legislation in Wisconsin signed in 1911. Over time, the United States government became involved in apprenticeships, promoting them about 20 years later and creating The Federal Committee on Apprenticeship. Today, the Bureau of Apprenticeship and Training provides the standards for registered apprenticeships and oversees the programs division of its organization. Why Aren’t Businesses in the US Apprenticeship Advocates? Apprenticeship is a rich tradition in European countries, but many US businesses are slow to adopt the apprenticeship model. For one thing, many people associate it with vocational jobs, such as trades like welding, plumbing, or carpentry. However, apprenticeship programs can be applied to any business model. For instance, CVS Pharmacy has a pharmacy technician apprenticeship program that gives candidates on-the-job training and a paycheck as they go through the program. According to the CVS Health webpage, they were the first employer to launch a program for pharmacy technicians in 2005 as a U.S. Department of Labor Registered Apprenticeship. Many pharmacy technicians use their experience as a building block for their future career. They can even become pharmacists without the expense of a four year college program. Another reason employers don’t consider apprenticeships in the same way they view a four year degree program is they may advocate for the education surrounding a typical college experience, with little understanding of how an apprenticeship could be valuable. In a recent discussion on The Diane Rehm Show, panelists saw the issue with apprenticeships as not only an education issue, but a marketing issue. Many people’s misconceptions about apprenticeships sway them away from careers in those fields. In order for apprenticeships to grow, the understanding of them in the United States needs to change. Many advocates in the Department of Labor see the benefits, and the apprentices who are coming out of their training programs with valuable knowledge and a paying job also see the opportunities apprenticeship programs offer to their peers. Who Benefits from an Apprenticeship? The most obvious beneficiary from apprenticeship programs, the apprentices themselves, can see a lot of potential for growth. For one thing, an apprenticeship is a job, and with youth unemployment remaining high despite growth in jobs in many sectors, younger workers can benefit from seeking careers in apprenticeship programs from knowing they have a steady income while they’re learning their trade. Additionally, apprenticeship is a good option for students who like to learn outside of the classroom. Hands-on experience and learning can be a good alternative to sitting through lectures. Apprentices aren’t the only ones who benefit from the on-the-job training. Employers benefit from providing programs that foster growth and learning while also securing potential employees for future success. In addition to creating loyal, productive employees, employers also foster competition in their industry. As a 2013 article in American Progress points out, apprenticeships reduce employee turnover and address shortages of skilled labor through training a new generation of workers to learn the skills of seasoned employees. For students who have seen parents, siblings, or older friends saddled with crippling educational debt, an apprenticeship can be a sound financial decision. According to the College Board, the cost of tuition for the 2014–2015 school year reflects the continuing trend towards high prices. For private schools, tuition for that time period was $31,231. Public colleges saw an average tuition cost of $9,139 for state residents, and $22,958 for out-of-state students. Many families who see education as a ticket to a better life can’t afford the cost of college. An apprenticeship can offer students a better way to make a living, learn new skills, and become highly trained in their areas of interest. The best part? Apprenticeships aren’t as expensive – they may cost nothing for the apprentice. What better way to learn your technical trade than to have an employer that pays you a salary while you learn on the job? US Department of Labor – With information about registered apprenticeships, information for both employees and employers, and resources for locating local apprenticeship opportunities, the DOL works to provide students a foundational understanding of programs that can help them learn and grow. International Foundation of Employee Benefit Plans – Read some of the latest news relating to labor and apprenticeships in the US and abroad. Vocational Information Center – With links for both US apprentices and resources from other countries, learn about the educational and training resources available to apprentices around the world. Have you ever considered going through an apprenticeship program? Do you think they’re valuable or a good alternative to traditional education?